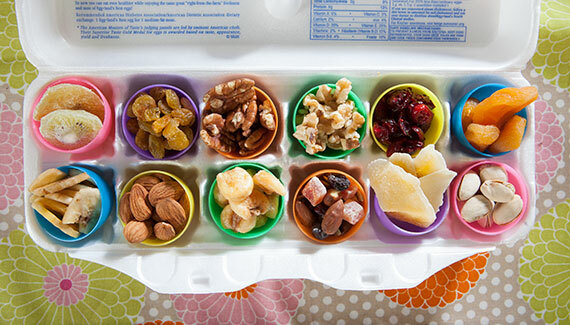 Spring is in the hare and we're here to spread our Easter fever with ideas for your holiday snacks, feasts and every treat in between. Here’s a ligher take on the Denver classic – baked, crustless and fluffly. Think souffle but savory. Our chefs love this light crustless version of a classic quiche that screams spring with ripe colorful veggies taking center stage. We add only the freshest “fruit of the sea” to make this seafood lover’s delight. Perfect for brunch! Turkish Apricots – rich in taste and color and on sale this week! Raw Pecans – The king of nuts when it comes to the essential fat alpha–linolenic acid (ALA), which supports skin and brain health. Studies show that including walnuts in the diet regularly may also aid in weight control. Choose everyone’s all-time favorite egg hor d’oeuvre or something a little spicy prepared fresh by our talented chefs. 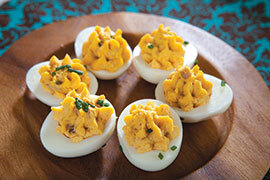 These main attractions will make your Easter brunch or springtime meal easy and delicious. Let our Nugget Markets chefs ham it up for you! 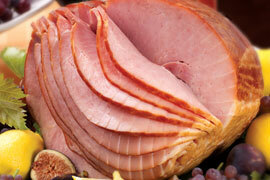 Serve our chef-prepared ham at your Easter table. 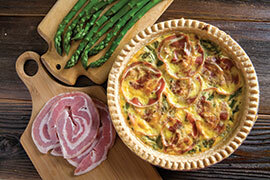 If quiche is on your menu, our chef team has several varieties for you to choose from: Asparagus & Pancetta, Florentine, Lorraine, Mediterranean, and Denver Ham. This locally raised American lamb is USDA Choice, all-vegetarian fed, and 100% natural. Perfect for any springtime celebration! 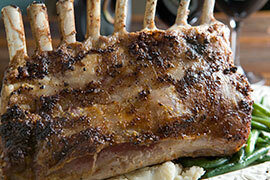 Try our Pan-Roasted Rack of Lamb with Red Wine Dijon Demi-Glace recipe. Boneless convenience with all the flavor of a bone-in ham, the Sweet Slice Boneless Ham is smoked in natural juices, extra lean, rich in protein, with no MSG. It’s milk free and gluten free too! 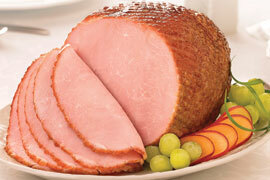 Sweet Slice Boneless Ham, $5.99/lb. 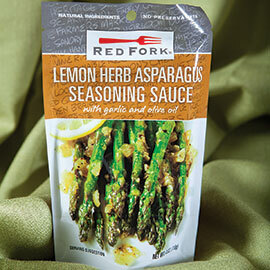 Make this season’s asparagus unforgettable with Red Fork Lemon Herb Asparagus Seasoning Sauce. 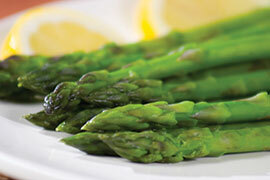 It’s easy to use: Simply heat the sauce, add water and asparagus, and cook for about 10 minutes. This sauce, filled with roasted garlic and fresh herbs, also makes a great base for a vegetable medley—if you feel like getting a little crazy, add snap peas and carrots or summer squash and zucchini! 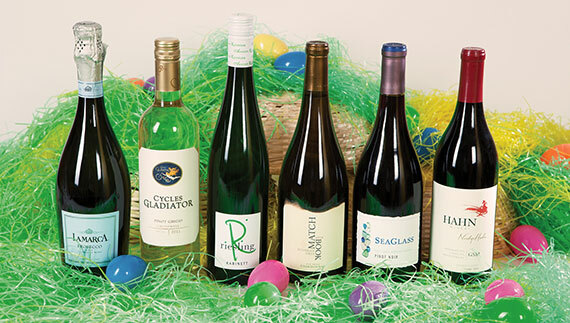 Our director of adult beverage has hand selected some of his favorite wines for your Easter celebration. 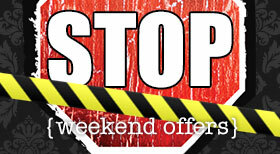 We've also secured some great prices on these selections and we’re passing the savings on to you! An aged sheep’s milk Gouda created by Cypress Grove, but imported from Holland. Beautifully balanced with a salty, sweet fullness, this gem pairs well with dried fruits and fig spreads. Wonderful for melting, too. This soft-ripened three-milk cheese is handmade in Italy following age-old traditions. Aged at least 15 days, it’s sweet, delicate and harmonious. Great with fresh fruit and crusty bread, also try it with fruit preserves or your favorite chutney. Handmade the traditional way, this all-natural, pork-free, decadent pate is made from chicken livers, truffles, and porcini mushrooms. Enjoy it as a truly excellent first course. 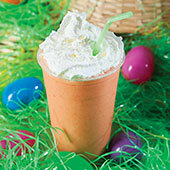 Grab an Easter Smoothie from our coffee bar. Enjoy orange sherbert, strawberries, fresh pineapple juice, fresh apple juice, banana, and coconut syrup all swirled together. It’s sweet, fun and refreshing! A wonderful treat, this white cake is filled with pineapple whipped cream, sliced strawberries and whipped cream, and sliced bananas in custard. 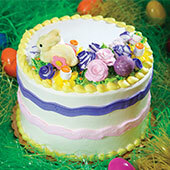 The whole cake is coated with real whipped cream, strawberries and Easter decorations! 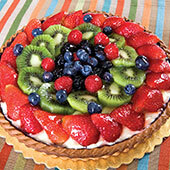 Buttery, flakey tart shells filled with rich custard and fresh fruit topping. 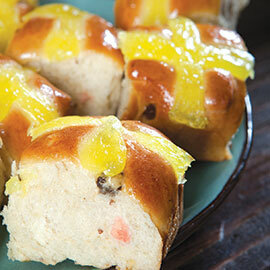 Flavorful buns with dried fruit and a tantalizing lemon filling. A holiday feast just wouldn’t be the same without these delectable rolls. 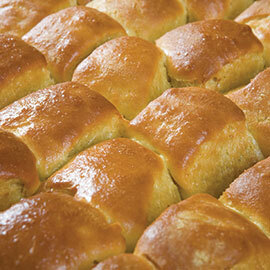 Baked in-house daily, we make these rolls using real butter and no preservatives. These bath bombs are a perfect blend of naturally fragrant essential oils, skin-softening body oils (like jojoba) and botanicals. Level Bath Bombs are sold individually and in these adorable 6-pack egg cartons (perfect for Easter). Time is almost up! 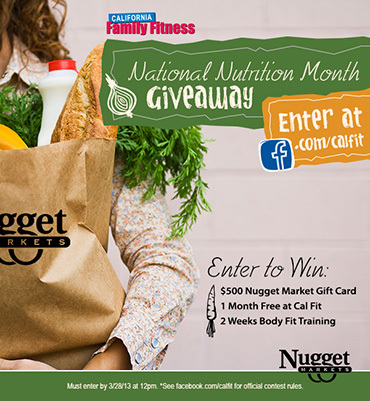 The spring giveaway is almost over, but you still have time to enter to win a $500 gift card to Nugget Markets and a 1-month membership to California Family Fitness. Cal Fit is also throwing in two weeks of unlimited Body Fit training! With a package like this, there’s no way you won’t be welcoming summer with open arms, feeling and looking great. Enter today! Superior Farms Leg of Lamb, Yellow, Orange & Red Bell Peppers, Moretti Polenta, Illy Coffee, Woodstock Farms Organic Spinach, If You Care Parchment or Foil, and more on special this week from March 27 - April 2, 2013. Stop by one of the following Nugget Markets locations this Friday from 5 p.m. - 7 p.m. to experience one of our weekly tasting events! Tastings are just $5/flight! Join us as we explore and discover cheese from some of the greatest cheese making regions of the world. Learn why cheese has been the perfect meal for centuries while you are taken on a "tour de fromage” to the far corners of the world. This class is perfect for budding cheese enthusiasts who want to take their cheese knowledge to the next level. We will be serving 8-10 cheeses and 5 wines. Classes cost $30/person and attendees must be at least 21 years of age. Pre-payment is required and space is limited. Contact our administrative assistant at (916) 933-1433 to confirm your reservation. Nugget Markets joins with the Davis community for Relay for Life, April 13 - 14 at UC Davis, Pavilion at the ARC. It's always an honor to support Relay and the American Cancer Society in celebration of the courage and strength of those in the battle, to remember lost loved ones, and to join the fight. Prices valid March 27 - April 2, 2013.